In a sunny office across the Potomac in Washington, D.C., two Latina power brokers are busy changing hearts and minds. 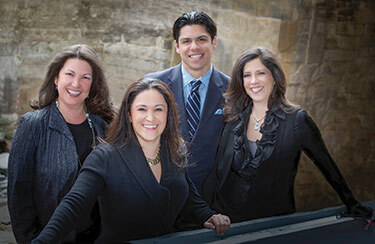 D&P Creative Strategies is not your stereotypical beltway consulting firm. The “D” stands for Ingrid Durán and behind the “P” is Catherine Pino. This year, they celebrate ten years of a personal and professional partnership that has taken them on what they both call an incredible journey, and it all started in 1992 at an event in Washington, DC. “We hit it off right away and talked a lot that night, but ten years went by before we reconnected,” said Durán. That was before Facebook, Twitter and other social media, and it was a lot easier to lose track of people. Fast forward to 2002 and Durán, who was then President & CEO of the Congressional Hispanic Caucus Institute, was told by a colleague, Juan Herrera, there was a fabulous Latina in New York City who would make a great CHCI board member. “Cathy Pino, Cathy Pino, where have I heard that name? And then it hit me. Oh, yes I know her and she would make a fabulous addition to the board!” said Durán. 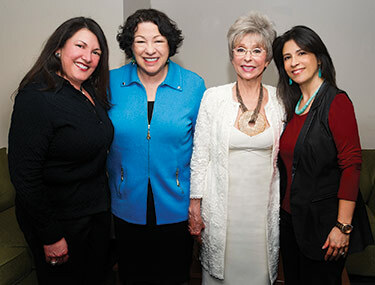 Pino came to DC from New Mexico to work for Senator Jeff Bingaman, and then for National Council of La Raza President Raúl Yzaguirre, but in 1991 she left Washington, DC for graduate school in New York City. She worked for two prominent national foundations including the Carnegie Corporation of New York. Durán thought that Pino’s experience in program development and philanthropy would be a good fit for CHCI and Pino joined the board, advising on board strategy, funding, and a variety of initiatives, including the scholarship and fellowship programs. Durán said that they were both so caught up in their own happiness and excitement that they didn’t pay attention to any of the naysayers, and they were lucky to get some good advice from others who had struck out on their own. Even before they officially launched, several companies approached them and they had a few contracts lined up as soon as they opened shop. “There really was no good reason not to do this, and we have been very fortunate,” said Durán. “It’s been a lot of hard work, but we enjoy it.” And not once, adds Pino, has anyone told us they wouldn’t do business with us because of who we are. “Most, in fact, have even embraced it especially since we are a certified LGBT and Women-owned firm.” Incidentally, both were also two of the three founders of PODER PAC, a political action committee that helps progressive Latina candidates across the country win elected office. It has supported a number of successful candidates, many whom were running for the first time. The partners consider their firm to be a “hybrid,” doing more than just lobbying. Both Durán and Pino are registered lobbyists, as is their dynamic Senior Associate, Roberto Fierro, but that’s not all they do. The fourth member of the team, Project Manager & Associate, Lena Hernández, is a special events guru and handles third party relationships for D&P clients and designs annual forums in the United States and Spain for one of their signature clients, the United States – Spain Council. “In ten years, Ingrid and Catherine have become a real force on the Hill. Everything they do has purpose and passion written all over it. Congratulations on turning ten!” said Congressman Xavier Becerra, Chairman of the House Democratic Caucus. In its tenth year in business, their firm has amassed an impressive list of clients some of which include Comcast NBCU, Freedom to Marry, Microsoft, Pacific Gas & Electric, Herbalife, Ltd., Excelencia in Education to name just a few. D&P’s tag line is consulting with a social conscience. Pino and Durán knew when they started their firm that they would do so by giving back to the community. Each member of the team is deeply engaged in philanthropy and volunteerism, a core tenet of D&P. “Giving back is not an option, it really is an expectation, because we are in a position to do so and Catherine and Ingrid reinforce it by example,” says Hernandez. Fierro and his wife started a nonprofit, Institute for Student Health (ISH) as a way to combine their love of kids and education with their passion for social and environmental justice. “We knew that by teaching kids and their families about food and fitness, we could improve both individual and community health,” says Fierro. Hernandez is a founding board member of Latinas Leading Tomorrow (LLT), an organization that is near and dear to her heart and allows her to serve as a role model with the next generation of Latina leaders. Durán and Pino say one of the efforts they are extremely proud of is the Familia es Familia campaign, which they helped co-create with Freedom to Marry and recruited a broad coalition of groups from across the country, including a record number of Hispanic national organizations. The endeavor was a groundbreaking public education campaign to raise awareness and build support within the Latino community for acceptance of their LGBT family members. The campaign focuses on workplace discrimination, bullying, marriage equality, and family unity. Durán and Pino say that one of the areas they are looking to expand into is what they call their “labor of love,” the creative side. The partners have a production company and are currently working on their fifth film, The Boomer List, having already produced Latino List I, Latino List II and The Out List, which aired on HBO. They are also associate producers of the The Harvest/La Cosecha, a documentary they worked on with friend Eva Longoria about the exploitation of children farmworkers. The Boomer List is scheduled to debut on PBS in the fall. Durán and Pino are also working on an animated series for Latino preschoolers that will focus on STEM issues and is based on a children’s book they wrote about their oldest niece Isabella and their dog, Allegro. The series, Izzie and Allegro, is scheduled to air later this year on Baby First America. One thing is clear, whether they are on Capitol Hill advocating on behalf of a client, orchestrating bilateral meetings in Spain, filming a public service announcement with Dolores Huerta, negotiating a partnership with a third party organization, designing a small book event for 900 people for their friend Supreme Court Justice Sonia Sotomayor or spearheading a multi-cultural book talk for Sheryl Sandberg, D&P is keeping true to their mission of Consulting with a Social Conscience.